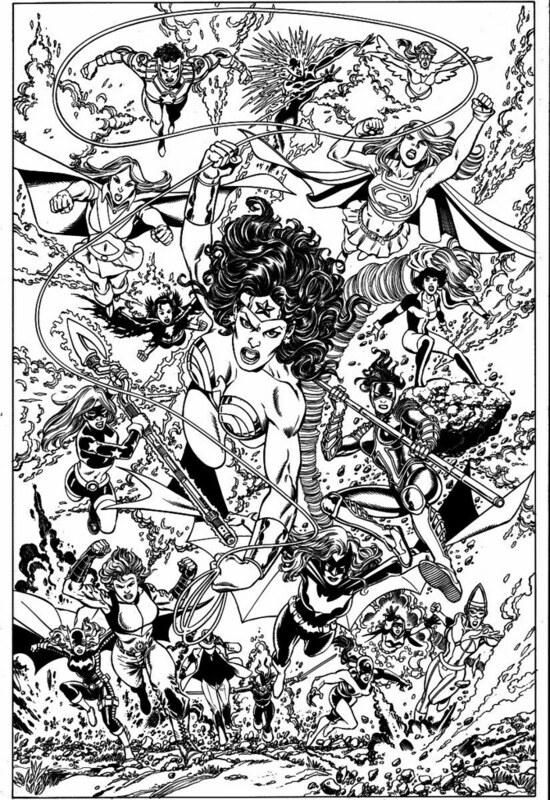 One of the greatest Wonder Woman artists of all time (and the father of the current continuity), George Perez, drew the lead story in Wonder Woman 600. 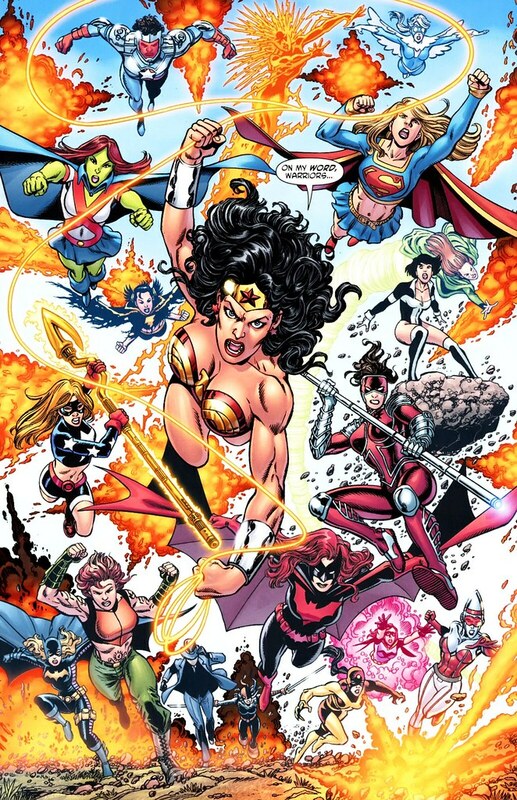 Diana Prince teamed up with all the super-chicks in the DC Universe, as you can see in the above splash page. The details in the black and white inked piece are amazing. You can see several other pages of Wonder Woman 600 original art here. Here's the final page with colors by Hi-Fi. The colorist adds a tremendous amount of effects, but there's no doubt that Perez gave him a lot to work with. Not too crazy about the new outfit, but this lead story was pretty cool. Nuff Said!